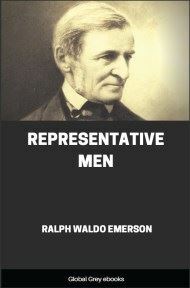 Originally delivered in January 1842 as a lecture to an audience at the Masonic Temple in Boston, "The Transcendentalist" was first printed in The Dial, the literary magazine devoted to the transcendentalist movement. It was then included in Emerson's 1849 Nature; Addresses, and Lectures. 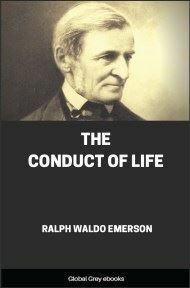 In the essay, Emerson offers a definition of the transcendentalist, describing the follower of this philosophy of optimism and positive thinking as a rather passive, even bored individual, who feels misunderstood — and mistreated — by the general public. The first thing we have to say respecting what are called new views here in New England, at the present time, is, that they are not new, but the very oldest of thoughts cast into the mould of these new times. The light is always identical in its composition, but it falls on a great variety of objects, and by so falling is first revealed to us, not in its own form, for it is formless, but in theirs; in like manner, thought only appears in the objects it classifies. 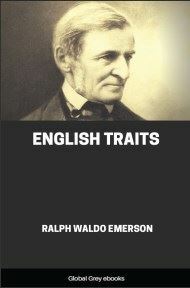 What is popularly called Transcendentalism among us, is Idealism; Idealism as it appears in 1842. As thinkers, mankind have ever divided into two sects, Materialists and Idealists; the first class founding on experience, the second on consciousness; the first class beginning to think from the data of the senses, the second class perceive that the senses are not final, and say, the senses give us representations of things, but what are the things themselves, they cannot tell. The materialist insists on facts, on history, on the force of circumstances, and the animal wants of man; the idealist on the power of Thought and of Will, on inspiration, on miracle, on individual culture. 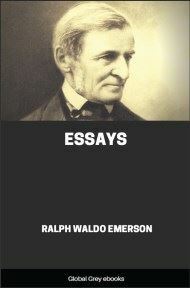 These two modes of thinking are both natural, but the idealist contends that his way of thinking is in higher nature. He concedes all that the other affirms, admits the impressions of sense, admits their coherency, their use and beauty, and then asks the materialist for his grounds of assurance that things are as his senses represent them. But I, he says, affirm facts not affected by the illusions of sense, facts which are of the same nature as the faculty which reports them, and not liable to doubt; facts which in their first appearance to us assume a native superiority to material facts, degrading these into a language by which the first are to be spoken; facts which it only needs a retirement from the senses to discern. Every materialist will be an idealist; but an idealist can never go backward to be a materialist. The idealist, in speaking of events, sees them as spirits. He does not deny the sensuous fact: by no means; but he will not see that alone. He does not deny the presence of this table, this chair, and the walls of this room, but he looks at these things as the reverse side of the tapestry, as the other end, each being a sequel or completion of a spiritual fact which nearly concerns him. This manner of looking at things, transfers every object in nature from an independent and anomalous position without there, into the consciousness. Even the materialist Condillac, perhaps the most logical expounder of materialism, was constrained to say, "Though we should soar into the heavens, though we should sink into the abyss, we never go out of ourselves; it is always our own thought that we perceive." What more could an idealist say? 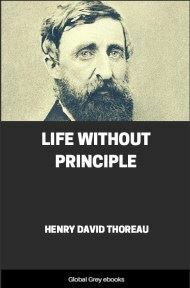 The materialist, secure in the certainty of sensation, mocks at fine-spun theories, at star-gazers and dreamers, and believes that his life is solid, that he at least takes nothing for granted, but knows where he stands, and what he does. Yet how easy it is to show him, that he also is a phantom walking and working amid phantoms, and that he need only ask a question or two beyond his daily questions, to find his solid universe growing dim and impalpable before his sense. The sturdy capitalist, no matter how deep and square on blocks of Quincy granite he lays the foundations of his banking-house or Exchange, must set it, at last, not on a cube corresponding to the angles of his structure, but on a mass of unknown materials and solidity, red-hot or white-hot, perhaps at the core, which rounds off to an almost perfect sphericity, and lies floating in soft air, and goes spinning away, dragging bank and banker with it at a rate of thousands of miles the hour, he knows not whither, — a bit of bullet, now glimmering, now darkling through a small cubic space on the edge of an unimaginable pit of emptiness. And this wild balloon, in which his whole venture is embarked, is a just symbol of his whole state and faculty.